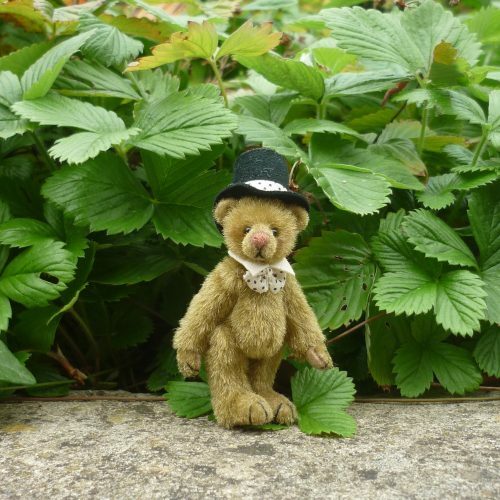 This elegantly featured bear wears an ultrasuede top hat with a polka dot silk band to match his bowtie. He is weighted with steel shot, has onxy eyes, hand-shaded facial detail and ultrasuede paws. 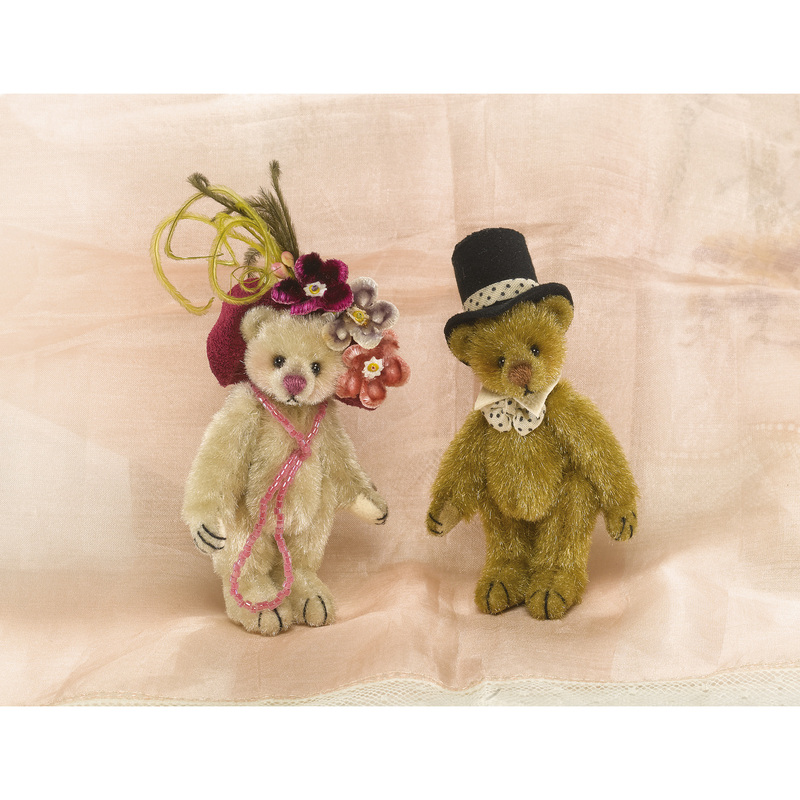 Louise Peers, from Cheshire, was a professional dress designer until 1993, when she began to make exquisitely detailed miniatures bears.